How to Learn to Trade Forex? How to Invest Your Money? How to Buy Shares Online? The forex market currently serves as the largest international currency trading market in the world. It operates 24 hours a day during the working week, and the trading itself is carried out by trained professionals including bankers and investment bankers. The forex broker is considered as the medium through which the trading is conducted. That being said, there is no central authority to prevent or restrict a trading from trading currencies. As is the case with any other market, the typical forex market consists of a set of buyers and sellers. The buyers are concerned with procuring currency that is required to be fed into their businesses. The sellers on the other hand look to earn a more convenient currency that they can use to replace the one that they have in hand. Among the various interesting features of the forex market, the one that truly stands out is the fact that the biggest banks in the world dominate the forex market. This statement is supported by the statistic posted in the Wall Street Journal Europe which reveals that the ten most active traders of the forext market make up for almost 73% of the trading volume. This can only be possible if the most popular and powerful banks in the world step into the forex playing field. What is really interesting about forex trading is how it runs on the concept of currency pairs. The value of a currency in relation to a range of other currencies is likely to increase or decrease over time, but this change hardly ever affects the forex trading market since it involves currency pairs upon which all the trading transactions are based. Take for example the currency of the European Union, the Euro. Generally, the Euro is deemed quite strong when stacked up against a group of other currencies. When it comes to forex trading however, the effects of the superiority of the Euro in comparison to other currencies is not felt to a great extent since the forex trader will only be concerned with a single currency pair such as the Euro/US Dollar ratio. a) The liquidity is estimated to be $4 trillion per day. This means that no matter where you are and whatever your status is as a trader, there will always be someone willing to trade with you. There are literally no barren phases or “dry seasons” when it comes to forex trading. b) Each and every single one of the free currencies in the world is traded in the forex market, allowing traders to trade the currency of their choice at a time of their convenience. c) Since the operations are completely global, you have the liberty of trading with any part of the world at any time of your choosing. For instance, you can trade currency pairs in Bangkok, Thailand at 1 am in the morning with someone from New York City, United States. The flexibility and fluidity of the market is impeccable to say the least. The large corporate investors are not the only ones reaping the rewards churned out by the forex trading market. There is a lot in it for the smaller traders as well, especially those in the United Kingdom. The following are just some of the benefits that you can enjoy as a small forex trader in the UK. a) You may think that a rapidly changing market like forex trading is too dangerous a territory for small traders to step into, but the reality is that the constant variations make conditions more conducive for money making as far as the low capacity traders are concerned. The more volatile the market is, the better are your chances of bring home big sums of money. b) With any volatile and partially hostile market such as forex trading, there is always an element of risk involved. As long as your trading skills are up to the mark, you will be in a good position to ward off the danger and make use of the developed mechanisms for controlling risks. c) Even if you have a low capital base, you can still capitalize on large volume trading to yield substantial dividends. If you have just begun your journey as a forex trader in the United Kingdom, then there is a lot of research and homework that you need to do before you engage your trading engines in full throttle. a) What kind of forex trading do the brokers have in store for you? b) How much variety can they offer in terms of international free currencies? c) What are the various kinds of spreads that you can avail from the broker? In addition to these, you should also check the range of different currencies that the broker can offer you in order to make sure that you can carry out forex trading with the currency that best suits your requirements and objectives. There is no point trading a currency pair that does not fit your agenda or fulfil your financial goals. You must also learn how to compare the different forex platforms available in the United Kingdom. Come up with a list of criteria upon which you can judge and assess these platforms. Make no compromises on the quality of the platforms and select only the best. 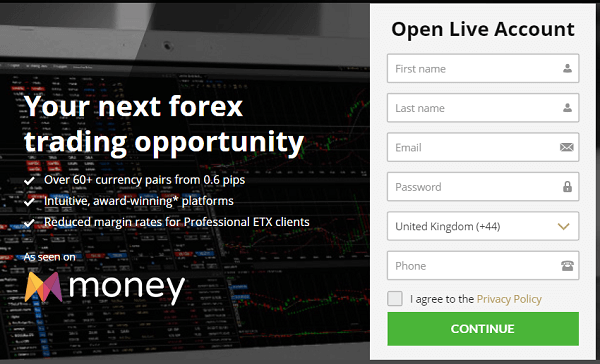 It is worth noting that the best UK forex brokers provide online and mobile services for traders and offer tools such as the stop loss orders which minimize losses so that you stay clear of financial turmoil during the initial stages of your forex trading career.